“We will not allow cases such as Ayotzinapa, Acteal and Pueblo Nuevo to happen because of corruption,” – Pilgrimage for Justice. Tuxtla Gutierrez, Chiapas, March 26th. 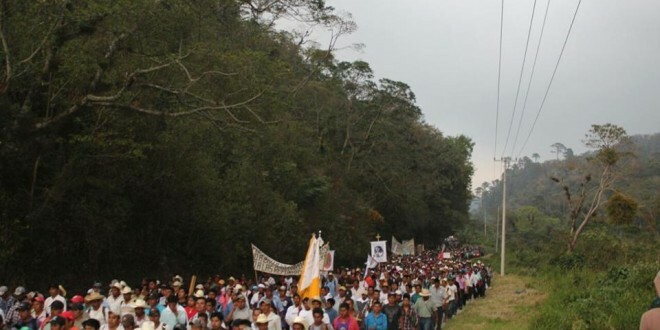 “We will not allow cases such as Ayotzinapa, Acteal and Pueblo Nuevo to happen because of corruption,” warned participants in the Pilgrimage of the Pueblo Creyente (Believing People) in the capital of Chiapas, concluding their four-day walk through the municipalities of Simojovel, Bochil, Ixtapa, Chiapa de Corzo and Tuxtla Gutiérrez. “It is necessary to add the sufferings and petitions of those who answered the call to this pilgrimage,” said the pilgrims in the central square of Tuxtla. 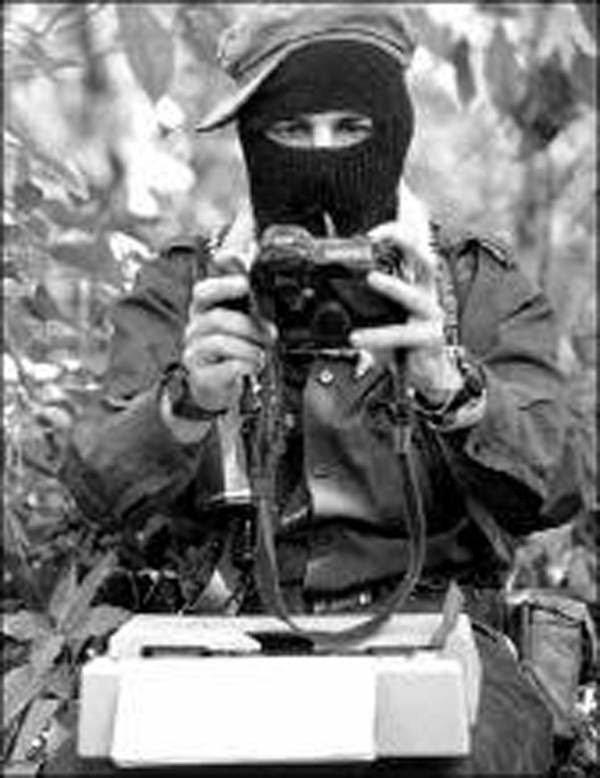 “The situation in Chiapas is serious. How do they say that Chiapas is a safe state? If we are here in our thousands saying that our lives are in danger, from the narcopoliticians, such as the Gómez Domínguez family from Simojovel, who are supported by the parties of the PRI and the Green Ecologist of Mexico,” they said. Frayba adds that “the state government had only a couple of meetings before the Inter-American Commission on Human Rights, based in Washington, learned of these events, ie two years after having demanded that they solve the problem.” “We had to resort to international bodies in order to register the pressing demands of the population,” they say. An end to the impunity and corruption of all state authorities; no to megaprojects, no to the Palenque San Cristobal superhighway, no to hydroelectric projects, no to mining projects and land dispossession; no to structural reforms, abolition of the neoliberal reforma, to the Mexican tax reforms, no to charging high energy costs, no to the privatization of water; proper use of public resources for better services; no forced displacement, justice, truth and a return for Banavil in Tenejapa and Primero de Agosto in Las Margaritas; and an end to violence, drug trafficking, prostitution, murder, kidnapping, as well as cancellation of arrest warrants and the release of political prisoners. This is day in the capital of Chiapas the teachers’ movement held a megamarch, which left the premises of the Mactumactzá Rural Normal School and ended with a rally in front of the central park of the capital city. Here they remembered the normalistas disappeared by the state last 26th September, and confirmed their rejection of the neoliberal reforms of Peña Nieto. Similarly they announced that they will soon carry out a total strike.